*Total Sales in the Region represents increase in sales for all business in the three metropolitan areas due to the existence of Grand Valley State University. More than 25,000 Grand Valley students are receiving a liberal education foundation that emphasizes critical thinking skills and gives them a broad base of knowledge that they take into their careers and their communities. Grand Valley has a record of producing high-quality graduates who stay in Michigan and give back to their communities. Of those working, 86 percent are employed in Michigan. The expertise of alumni in Michigan meets the needs of employers across the state. There are more than 117,000 Grand Valley alumni, and nearly half are living or working in West Michigan’s tri-county area. 12,301 in nursing, physical therapy, occupational therapy, and physician assistant and related health care fields. State lawmakers use a higher education funding plan that ties a small portion of state support to performance. Each year the metrics have been used, Grand Valley has proven to be a top performer in key areas, including retention, graduation rates, and providing access to students who otherwise could not afford a college education. New construction and renovations pumped more than $109 million into the local economy in 2017, creating 2,295 trade and construction jobs. Grand Valley is expanding its health campus in Grand Rapids with the opening of Raleigh J. Finkelstein Hall and construction of a new $70 million health building on Medical Mile, set to open in 2021. Grand Valley has been recognized as one of “America’s 100 Best College Buys” for 22 years in a row because of low tuition and high value. An average student pays $4,500 less than the posted tuition price. Grand Valley alumni are decision makers and leaders. Although they live throughout the U.S. and the world, their impact is greatest in Kent, Ottawa and Muskegon counties. Higher education continues to be a public good. Grand Valley changes lives and its graduates change communities. 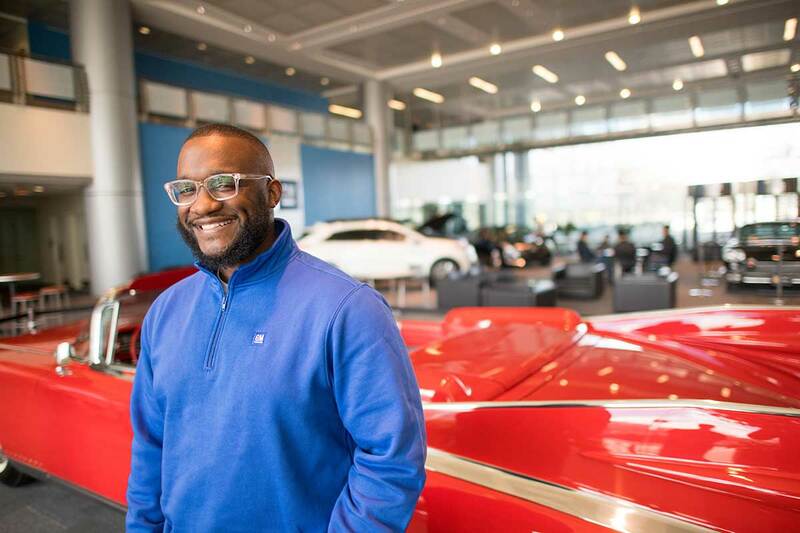 Brian Parks, '08, '14, interacts with people around the world as a program cost management analyst for General Motors.